Kick off Super Bowl weekend with halftime show trivia! 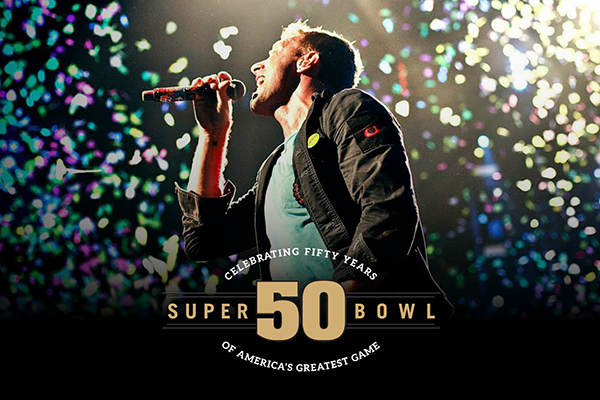 British rockers Coldplay will headline this Sunday’s Super Bowl 50 halftime show. In recent years, the Super Bowl, which celebrates its 50th anniversary this Sunday, has become a pop culture event known just as much for its live entertainment as it is for football. But did you know it wasn’t always this way? Before the big game, check out seven fun facts that might surprise you about the halftime show! 1. It wasn’t until the early ‘90s that the halftime show began regularly starring big name acts. After an electrifying 1993 performance, the King of Pop set the precedent for big production shows that have since featured artists like Beyoncé, Madonna and Prince. Performances in the Super Bowl’s early decades featured marching bands, drill teams and other ensembles centered around themes like Mardi Gras, Motown and the big band era. After Fox aired a special live episode of In Living Color in a 1992 counter-programming attempt that drew away 22 million viewers, the NFL began booking major pop acts to boost viewership, starting with Michael Jackson for the following year’s Super Bowl XXVII. 2. The first solo performer was Broadway star Carol Channing. The Tony-winning singer and actress performed at Super Bowl IV in 1970 (and again in 1972, with Ella Fitzgerald and trumpeter Al Hirt in a salute to Louis Armstrong). A 2014 Pepsi commercial featured the 93-year-old Channing surprising a fan who had been in the stands in 1970. 3. 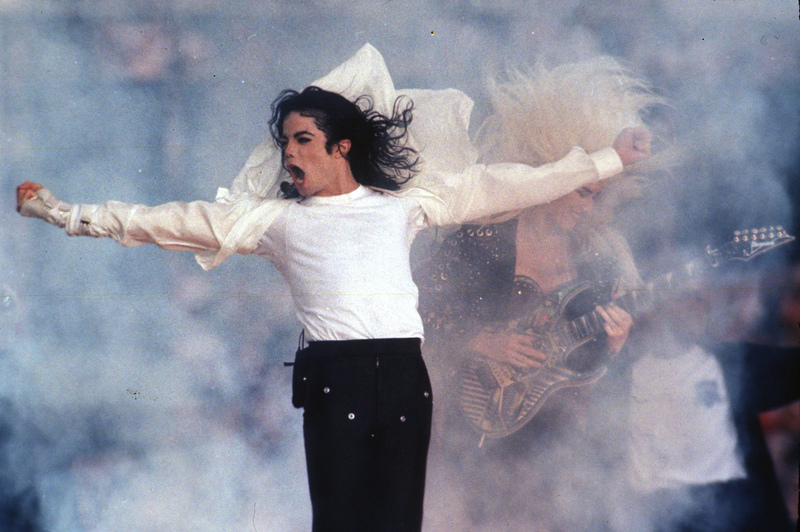 1989’s Super Bowl XXIII halftime show was the first network television broadcast in 3-D. Sponsor Coca-Cola distributed 20 million pairs of 3-D glasses in advance for audiences at home to view the ambitious 1950s-themed performance, which featured 2,000 dancers and an Elvis impersonator/magician named Elvis Presto. 4. The Grambling State University Marching Band holds the record for most halftime performances. 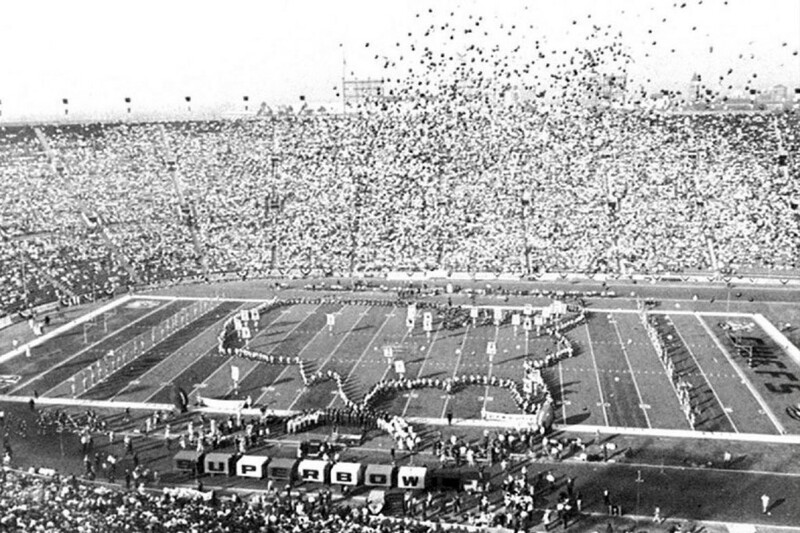 The Grambling State University Marching Band performed at Super Bowl I (1967) with the University of Arizona Marching Band, trumpeter Al Hirt and the Arcadia High School Drill Team. The marching band from Grambling, La., has been featured in six halftime shows, including Super Bowls I and II and at least one in each decade from the 1960s–90s. 5. Bruno Mars was the youngest artist to headline the show. During 2014’s Super Bowl XLVIII, the then-28 year-old singer channeled James Brown in a high-energy set that included a duet with the Red Hot Chili Peppers. Mars announced today he will be joining headliner Coldplay and special guest Beyoncé for Sunday’s performance. 6. In a memorable Disney-produced show, Indiana Jones, Patti LaBelle and Tony Bennett all starred in 1995’s Super Bowl XXIX. During the performance, Indy and Marion Ravenwood (played by stunt actors) rescued the Vince Lombardi Trophy from the Temple of the Forbidden Eye. LaBelle, dressed as a high priestess, sang during the caper while Bennett wrapped up the show. 7. Katy Perry’s Super Bowl XLIX performance is the most watched halftime show in history. Last year, 118.5 million people tuned in for Perry’s set, which included four costume changes, Lenny Kravitz, Missy Elliott and viral sensation Left Shark. The show later won two Emmys. Happy Super Bowl weekend! And if you’re watching on Sunday, be sure to keep your eyes and ears out for Los Angeles Philharmonic conductor Gustavo Dudamel and the Youth Orchestra of Los Angeles, who will be appearing with Coldplay during the halftime show. Share your favorite halftime show memories in the comments! This entry was posted in Beyond Levitt and tagged Super Bowl on February 5, 2016 by Katie Huang.